Hello! After a few months vacation I am back with Thermoweb. My first assignment? 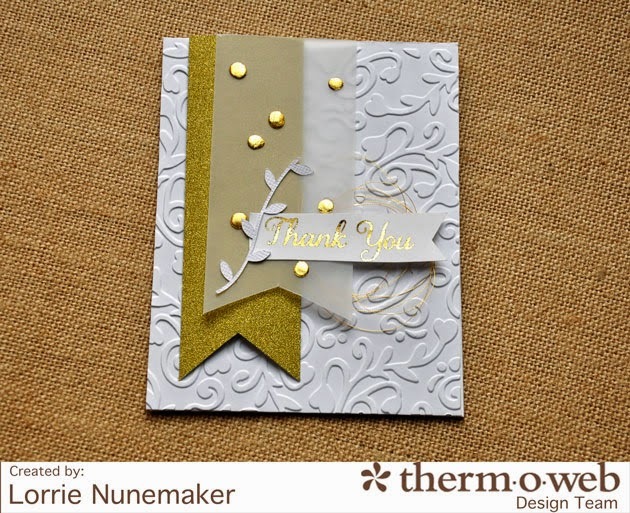 Thank You cards with Deco Foils! 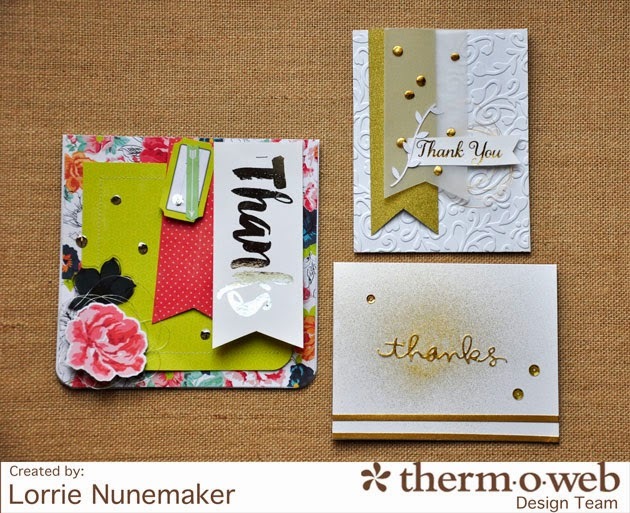 There are several ways to apply Deco Foils. This card uses two methods. On the Thanks I used a laser printer and laminator, and the silver dots are simply Zots (glue dot adhesive) and Deco Foils... Easy Peasy! 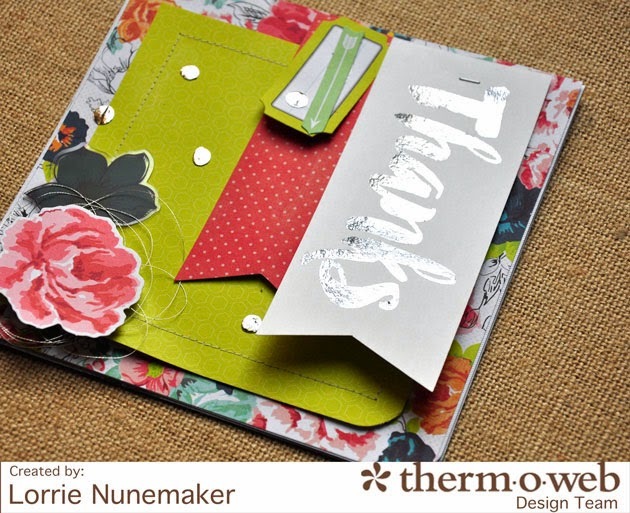 I used Icraft Adhesive Sheets to cut the "thanks" using a Die and my Big Shot. I cut the word mirrored so that the adhesive side would be up. Simply applied Deco Foils over the top. 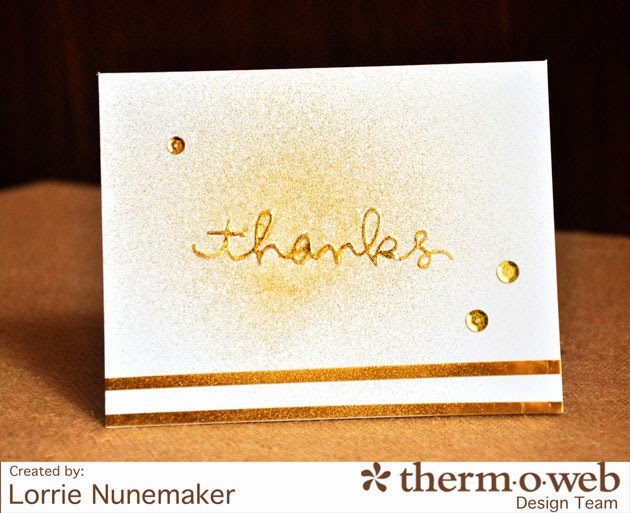 The foiled stripes were created using two strips of Thermoweb Super Tape and again, applying gold Deco Foil on top. A quick blast of Gold Glitter Dust finished off the card.